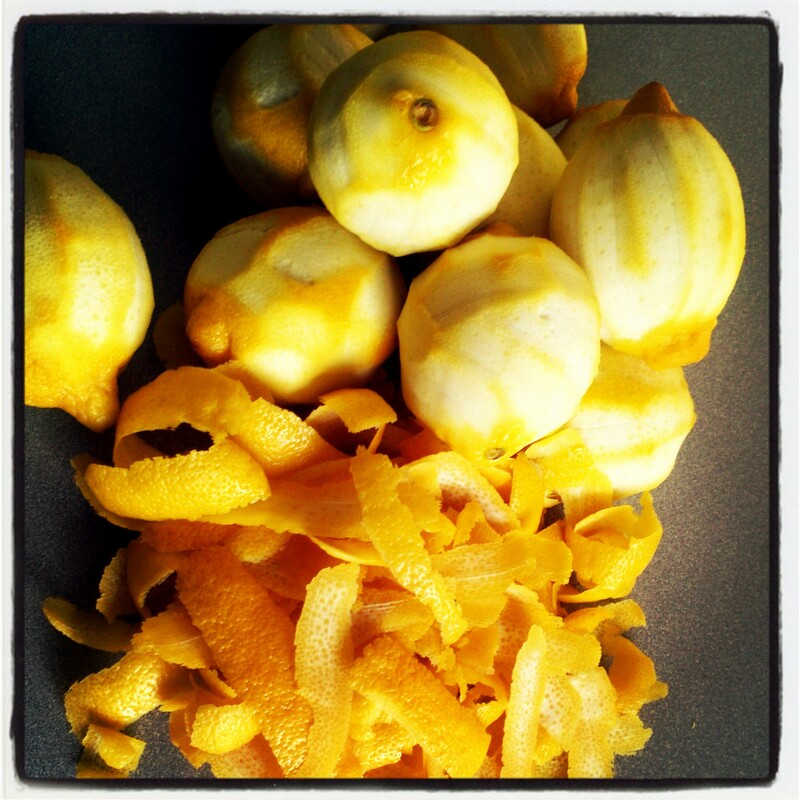 Limoncello is simply delicious, and I’ve always wanted to make it, but it does take some time and you must be patient. Limoncello (Italian pronunciation: [limonˈtʃɛllo]) is an Italian lemon liqueur mainly produced in Southern Italy, especially in the region around the Gulf of Naples, the Sorrentine Peninsula and the coast of Amalfi and islands of Procida, Ischia and Capri. It is also produced in Sicily, Sardinia, Menton in France, and the Maltese island of Gozo. Though there is debate about the exact origin of the drink, it is at least one hundred years old. Limoncello is traditionally served chilled as an after-dinner digestivo. Along the Amalfi Coast, it is usually served in small ceramic glasses themselves often chilled, the Amalfi coast being a center of both ceramics and limoncello production. This tradition has been carried into other parts of Italy. Limoncello is the second most popular liqueur in Italy but has recently become popular in other parts of the world. Restaurants in the United States, Canada, the United Kingdom, Australia, and New Zealand are increasingly offering limoncello on their beverage and dessert menus. In the United States commercial producers using California lemons have introduced USA made limoncello, including Rometti Limoncello, Ventura Limoncello, and Fabrizia Limoncello. Limoncello is an increasingly popular ingredient in cocktails. 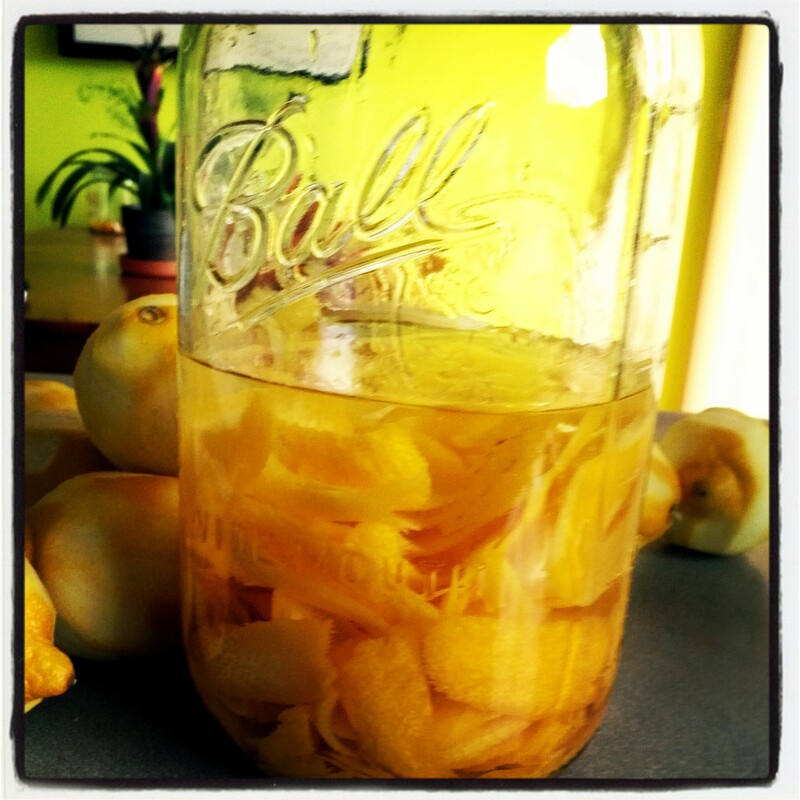 Limoncello imparts a strong lemon flavor without the sourness or bitterness of lemon juice. Okay let’s get making this good stuff!!! There are so many recipes out there for Limoncello, using Everclear, vodka, a lot of sugar a little sugar, steep for 7 days, steep for 21 days, steep for 45 days. This is the way I did it, first I choose to let steep for 42 days, so part two coming in 42 days, then part three coming in another 42 days. I used 10 lemons, and I used “Potato Vodka” 80 proof…yes I know its better with Everclear or Vodka that’s 160 proof, but I have been wanting to drink “Potato Vodka” for awhile now so instead I decided to make my Limoncello out it. Now part two will be adding the simple syrup, then letting steep for another 42 days…so I figure on April 25th will be the post date for part two and then part three post and drinking day should be on June 7th. Ahhhh just in time to start the summer, I can already picture me sitting on my back deck, at dusk, listening to the fountain that runs in my little pond, maybe having some friends over for the 84 day celebration to sip on my first batch of Limoncello!! Wait 84 days!!!!! to make one batch…maybe I will start another batch in April, then another in May…just so I have enough to last the summer and if its good!! Well I might have a batch making party monthly!!!! We will see!! 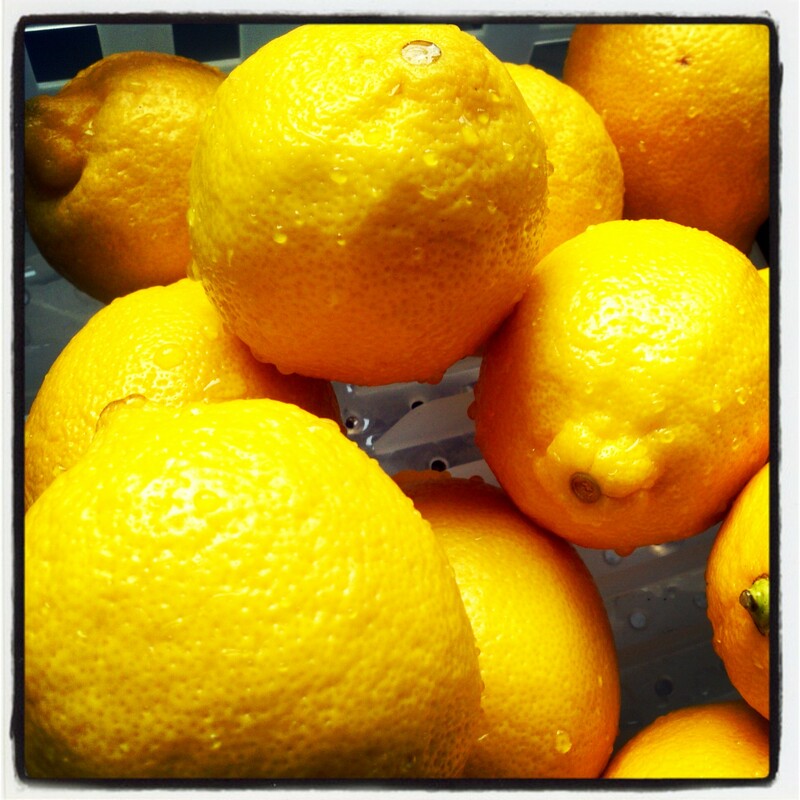 I found out that the fresher your lemons are the easier they are to peel, so try to look for nice bright firm lemons. 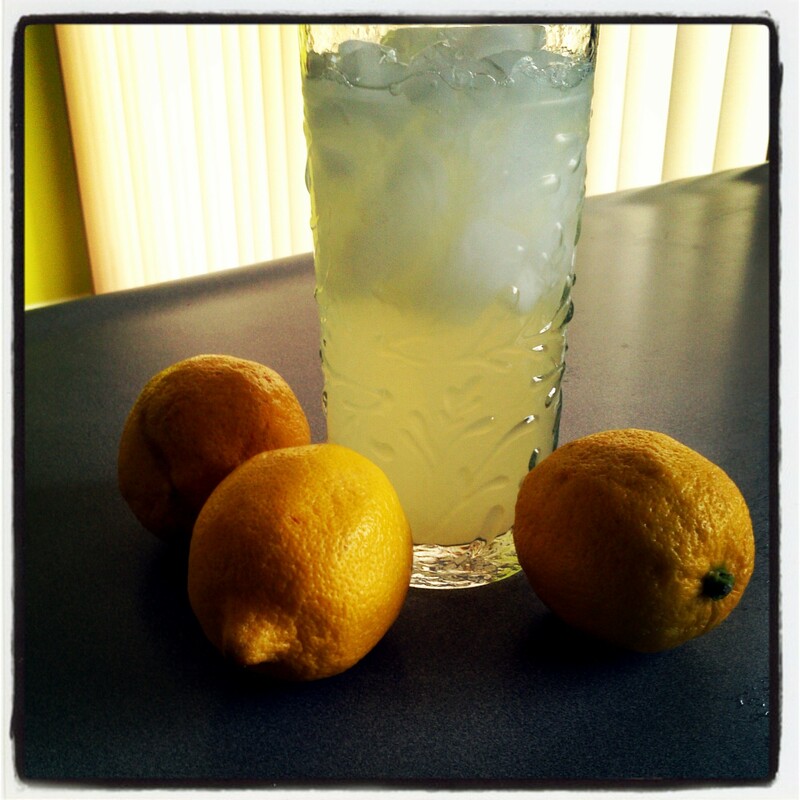 Now what to do with all those lemons…juice them and make Fresh Lemonade!!! Or you can pour the juice into ice cube trays and freeze, then once frozen put cubes in a ziploc bag and now you have fresh lemon juice when you need it for a recipe. Okay “Part Two” Limoncello in 42 days!! then peel the zest of the lemons, you only want the yellow part, do you best not to get the white pith part or at lest very much of it. 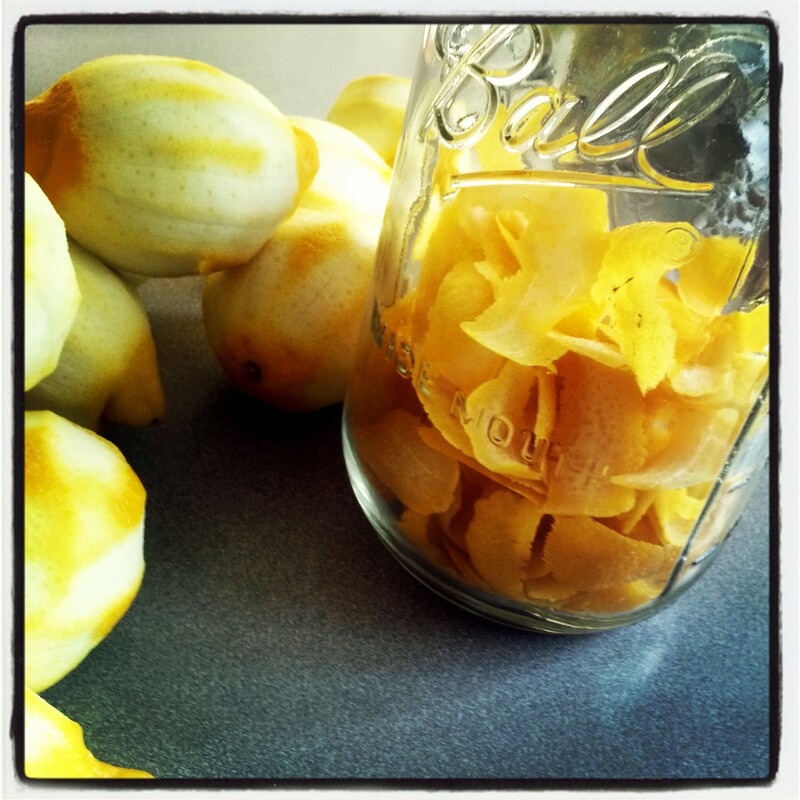 Put peels in the jar, and pour your alcohol over top of the peels making sure all are covered. 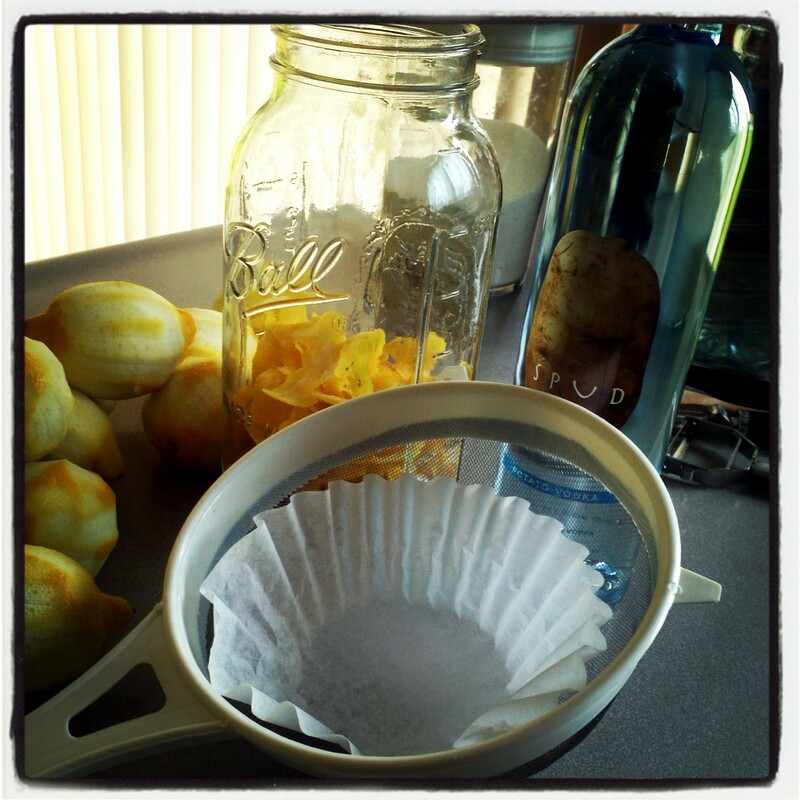 You can use a coffee filter and strainer to pour the alcohol through as I did, next time I will not do this process. I will just pour it straight in the jar. 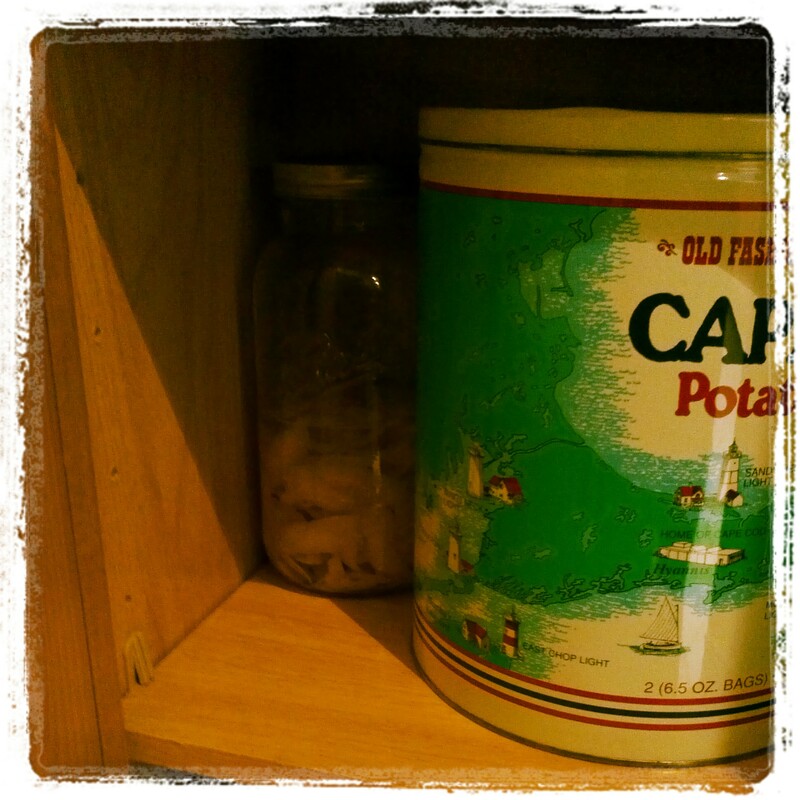 Store the jar in a dark cool spot, and every few days give a swish until Day 42. On Day 42 in a small sauce pan add sugar and water, cook over medium heat, stirring until sugar is dissolved once dissolved let cook for one more minute then remove from and a cool completely. 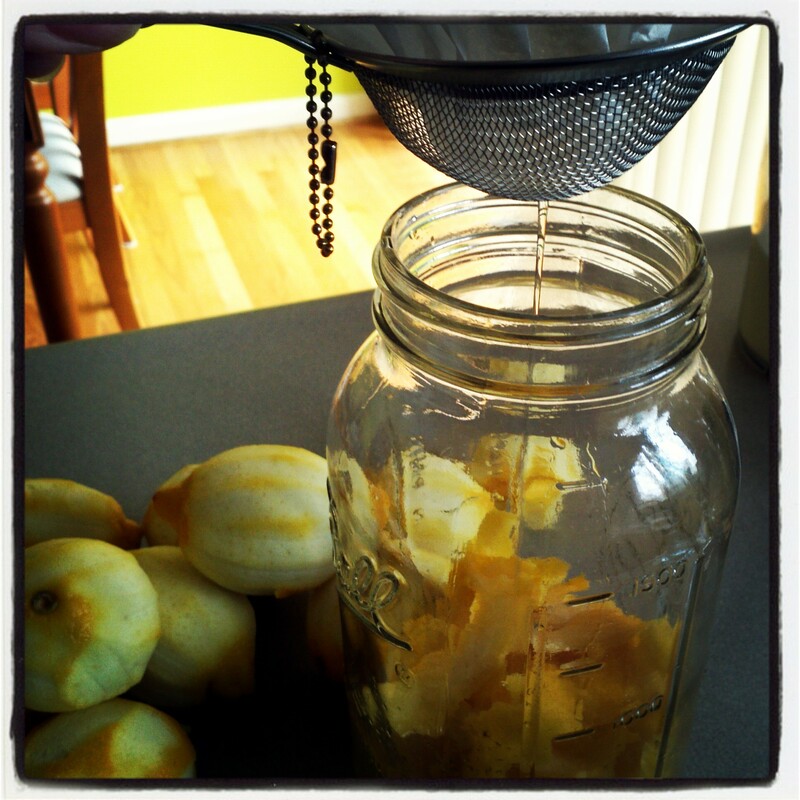 Once mixture has cooled pour into jar with the peels and alcohol and stir. Then put it back into that cool dark spot for another 42 days. When day comes, strain (to catch peels) jar contents into a pitcher, then using a funnel pour liquid into decorative bottles or bottle, you can give them out as gifts if you want, or like me I’ll be keeping my “Liquid Gold”. Whatever you keep store it in the freezer, that is how you want to serve it, ice cold in small glasses just for sipping. Let me know when you start your own batch!! Enjoy!!! Do you have a cooking lessons schedule? I don’t at the moment, are you on our email list for my Cooking Classes Josie, if not I’ll add your email to list then you will know. Wow! 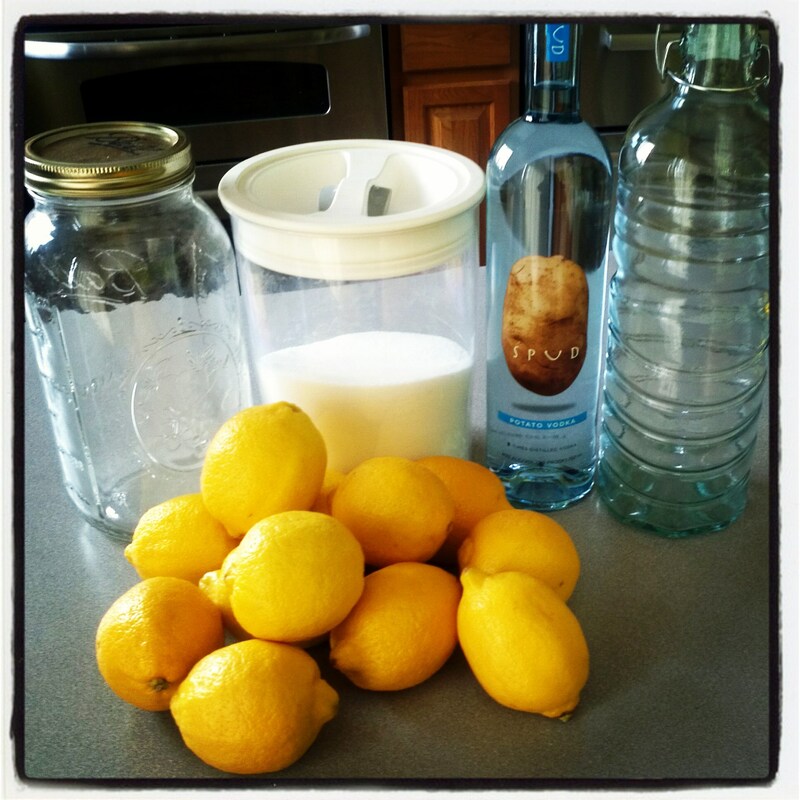 I have been wanting to learn how to make Lemoncello forever, I’ll be picking up some lemons, jars, and vodka this week! How was the potato vodka? It was good, strong but good, and I only used 80 proof, glad I did not go with a higher proof. I like to pour a shot in a glass with ice and cut it with sparkling water…its not so strong, but I do sip too, and keep in the freezer 🙂 Let me know if you make it, I think the hardest thing was peeling all the lemons, make sure the lemons are fresh and hard, they will be easier to peel 🙂 Enjoy! !